Stennetts Ltd have been hiring out Self-Drive & Operated equipment since 1969. 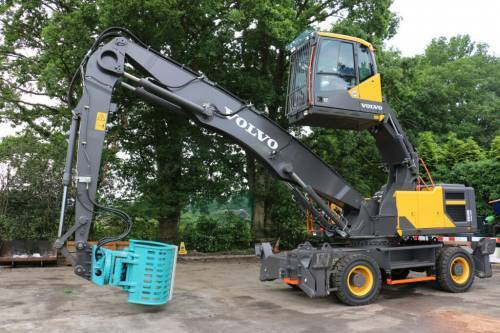 Recognising the shift in emphasis towards recycling and away from landfill we work in partnership with our clients to ensure that the very best Waste Handling equipment is provided by investing in the latest machinery obtainable on the market. Each machine is bespoke to our clients specification and is available by special order. Long term contracts are offered allowing the client to plan expenditure and forecast cash flow. Our phones are answered 24 hours a day by a Manager, not a call centre, and with the benefit of in-house engineers, downtime is kept to a minimum. In addition to Wheeled Loading Shovels, Tracked and Wheeled Excavators, Dump Trucks and Skid Steer Loaders we offer specialist equipment such as High Lift and Long Reach Re-handling Grabs designed with Waste Handling specifically in mind. Our plant fleet is available Self Drive or Operated and all our operators are fully certificated. Long & Short Term Hire. Commercial Hire delivered and Collected UK wide. Reliable & Expert 24 hour service.